The city of Cupertino, named as such after Arroyo San Jose de Cupertino, was once a small village known for agricultural activities. 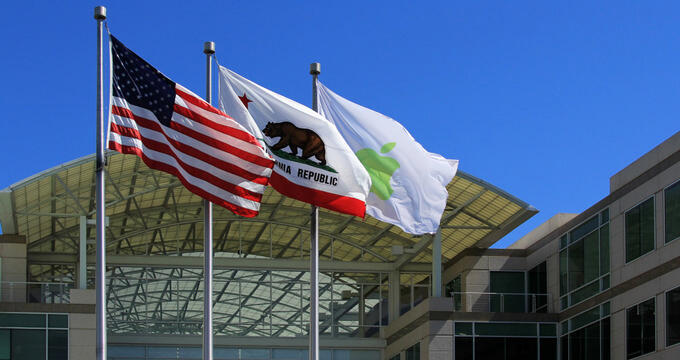 While at first glance, it may seem like a small suburb with not much to offer besides tech companies, there is actually quite a bit to do in Cupertino and the surrounding area. Enthusiasts of the Apple brand can spend some time at the Apple Park Visitor Center. Nature lovers will find a number of expansive parks, and wine lovers can enjoy vineyards and wineries. The Apple Park Visitor Center was created by the Apple company just for visitors. 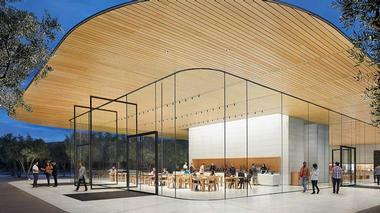 It’s an extensions of the Apple campus and provides guests with a place to shop, explore, learn, and more. The Exhibition highlights the park’s innovative design principles, with the company wanting to build an office park that can fit in with the natural landscape. The Store sells exclusive Apple Park and Apple branded merchandise, ranging from accessories to Apple products. The Cafe offers refreshments for visitors that they can take with them as they explore the olive grove that surrounds the Apple Park. 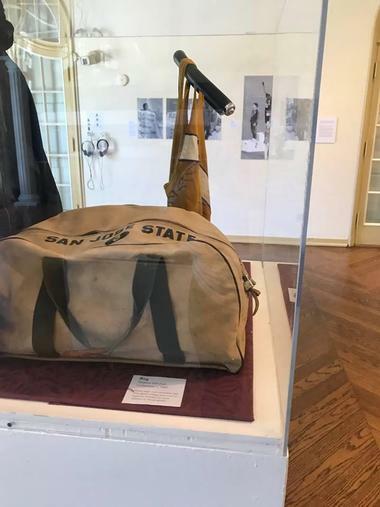 The California History Center focuses on the study of California studies, as well as regional studies, and is housed on the campus of the De Anza College in the 1895 Petit Trianon. The center present various exhibits, publishes a periodical and books, operates a library with archives, and offers classes with the college. 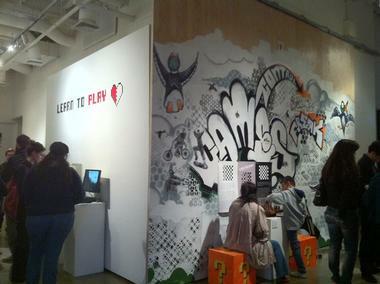 Special events such as workshops, panel discussions, and lectures take place periodically throughout the year as well. The California History Center is closed during the months of July and August, and is open on Tuesdays, Wednesdays, and Thursdays to the public, as well as Friday by appointment. The Castle Rock State Park is a landscape made up of sweeping vistas, lush forests, and sculpted sandstone. From one of the Santa Cruz Mountains’ highest ridges, visitors can enjoy horseback riding, backpacking, and hiking. Rock climbers can explore the rocks and caverns, which include the park’s namesake: Castle Rock. Plants found within the park include high-elevation coast redwoods, knobcone pines, and California black oaks. 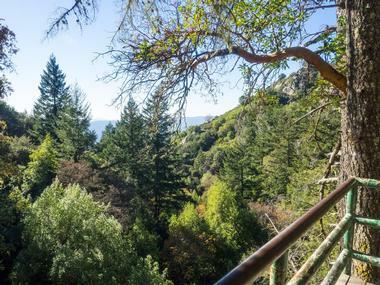 The rugged trails at Castle Rock State Park encompass thirty-four miles and are conveniently connected the the extensive trail network that links the San Lorenzo and Santa Clara valleys to the Big Basin Redwoods State Park. Chromatic Coffee has received a number of accolades over the years and is considered by many to be one of the best coffee roasters in the region. The highly rated coffee is available in many specialty grocery stores and cafes throughout the Bay Area and further out into the Pacific Northwest. It also proudly fuels the innovation of the several tech companies in the area. The ingredients that go into the coffee roasting process are sourced very carefully, and come from the local area whenever possible. The profiles of the roasts are carefully crafted to draw out the complexity and natural beauty.. 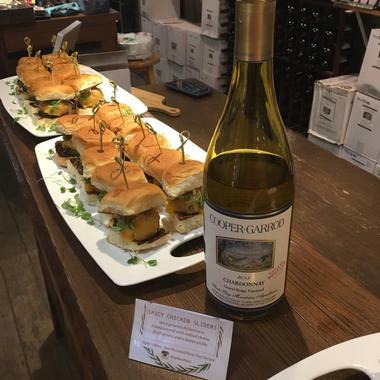 The Cooper-Garrod Estate Vineyards began in 1972 when the aging orchards owned by the Garrod family started to be replaced with grapes that thrive in the region’s microclimate. The Fruit House, which is the historic tasting room on the grounds of the Cooper-Garrod Estate Vineyards, is open daily. It is open noon to 5:00pm during the week, and from 11:00am until 5:00pm during the weekends. The tasting room is also open from noon to 3:00pm on Christmas Eve and on New Year’s Eve. Wine tastings include a tasting of five different wines, with the selections changing every week. The Euphrat Museum Of Art strives to me more than just a museum, aiming to provide an experiential environment for communication and visual ideas. The comprehensive program of public lectures and art programs, education, and arts stimulates interest in art and creativity in people of all ages. The Euphrat Museum Of Art creates and presents various art exhibitions, as well as educational programs to accompany them. It is a venue that helps both distant and local established and emerging artists, and serves as a space for the exchange of ideas. 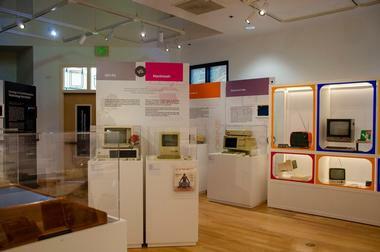 The museum presents a wide variety of art. The Fujitsu Planetarium is located on the campus of Cupertino’s De Anza College. It is the largest planetarium owned by a school on the western side of the Rocky Mountains. After its renovation, it also became one of the world’s most modern planetariums. The Fujitsu Planetarium boasts a modern laser show that provides an immersive experience for visitors, including music and vibrant images designed to inspire audiences. Full-color projections create beams over the audience’s heads and captivating graphics on the fifty-foot dome. 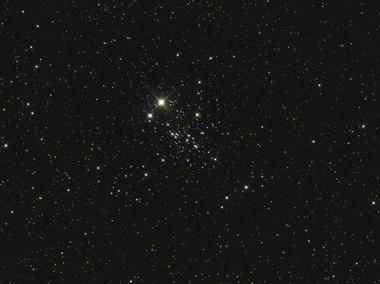 The Community Education and College Astronomy Departments share the planetarium, which is used sometimes as a classroom. La Patisserie Bakery in Cupertino, California is a unique specialty European bakery with a focus on designer cakes and wedding cakes. The small size of the bakery lets it offer more personalized attention to all customers. By design, the specialty bakery take in a limited number of cake orders every week in order to ensure that attention is paid to the smallest of details. La Patisserie prides itself on creating culinary creations that are not only beautifully amazing to look at, but made with high quality ingredients as well. 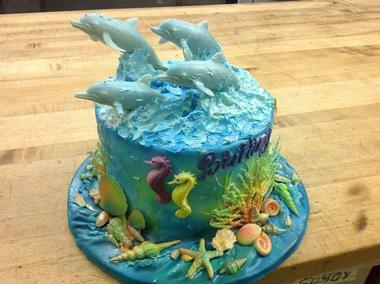 The bakery is also committed to offering the most flavorful and freshest pastries. 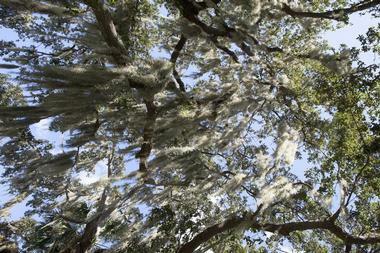 The McClellan Ranch Preserve is open daily to the public from sunrise until sunset. The natural preserve spans across eighteen acres and was originally a horse ranch during the 1930’s and the 1940’s. The site includes a community garden and a nature museum, along with the original ranch house, livestock barn, milk barn, the old water tower, and a replica of the Baer’s Blacksmith Shop. There are many things to do at the preserve, including self-guided hiking, naturalist-led hiking, birdwatching, wildlife viewing, educational programs, visiting the Stocklmeir Orchard or the Blackberry Farm. The Blacksmith Shop and nature museum are open on the weekends. 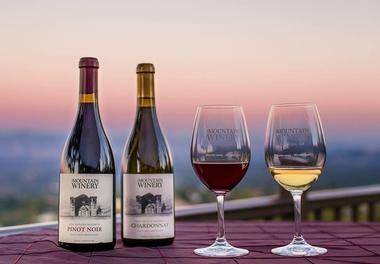 The Mountain Winery is located in Saratoga, California, just outside of Cupertino. The staff is committed to the preservation of the history of The Mountain Winery, originally started by Paul Masson, and the restoration of the grounds to its glory for everyone to enjoy. The property boasts amazing vistas, a terrace encircled by redwood groves, and landscaped gardens. Every year, the Mountain Winery hosts a summer concert series in addition to wine tastings in its historic Winery Building featuring ivy-covered stone and old world ambiance. The property offers quite a dramatic backdrop for all kinds of events as well. 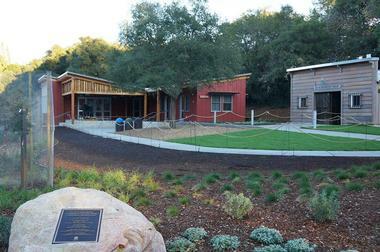 The Picchetti Ranch Open Space Preserve is a historical area situated above the Stevens Creek Reservoir. The preserve, named after the area’s Picchetti family who emigrated in the 1870’s from Italy, includes the Picchetti Winery, the surrounding homestead, and over three miles of trails. Visitors can explore the hillside orchards, take a hike through woodlands, have a picnic, or taste wines at the historic winery. The Picchetti Winery, which was built during the 1890’s, is operated by someone else now, but guests can still enjoy wine tastings. The trails around the winery are wheelchair accessible, outside the area, not as much. Rancho San Antonio Open Space Preserve	encompasses nearly four thousand acres, and combined with the 165-acres Country Park next to it, provides visitors with a sample of several different environments, an array of activities, and a fascinating cultural history. On the grounds is a trail network that covers twenty-four miles. While guests can travel by foot, horseback, or bike along the trails, dogs are not allowed. 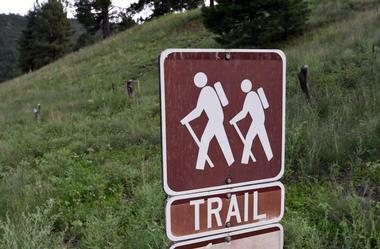 Hikers can combine these trails to create loops of various difficulties and lengths. 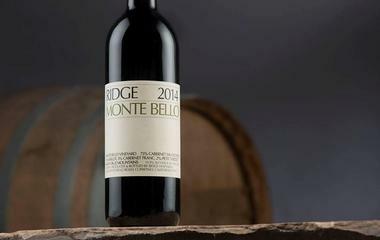 Grassy areas for picnics can be found in the shadows of the Black Mountain and Monte Bello Ridge. 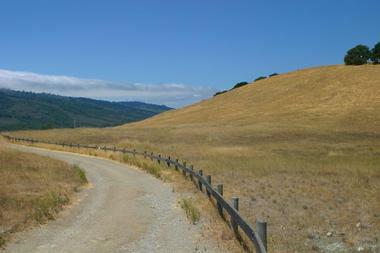 The Zinfandel Trail travels across the Stevens Creek Park and the Pichetti Ranch Open Space Preserve as it winds through the chaparral hills and oak forests in the area. The trail begins at the parking lot located adjacent to the Pichetti Winery. It then meanders along the picnic area’s other side before heading uphill towards the orchards. Visitors can find views of the nearby South Bay from the left side of the Zinfandel Trail. The trail eventually emerges out into the Cooley Picnic Area. From here, the best option is to simply turn around and head back down the trail.